Palestinian Authority Chairman Mahmoud Abbas held several meetings with terrorists and their families. According to MEMRI researchers, Abbas on March 5 held a meeting with the family of Muhammad al-Jaled, a terrorist who was was eliminated in February. Al-Jaled was shot while attempting to carry out a terror attack at the Huwara Checkpoint in November. Abbas also met with 14-year-old terrorist Osama Zidaat, who attempted to carry out a stabbing attack in Kiryat Arba in September 2016. Zidaat was wounded during the shooting match, and was later released from jail. The PA Chairman also met with freed terrorist Imad Asaaf, a member of the Second Intifada's Al-Aqsa Brigade. 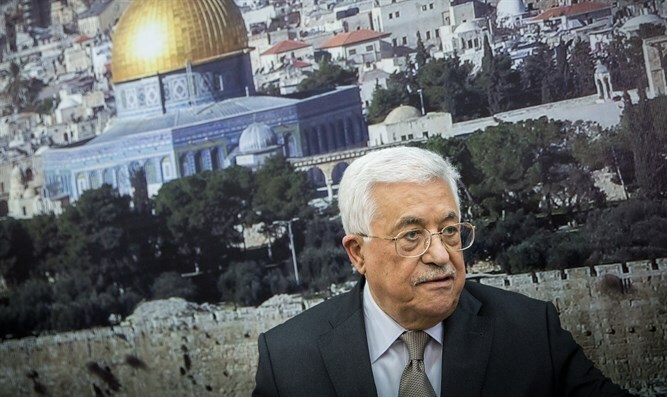 "The viciousness of the Israeli arrests and murders will not sway the Palestinian nation's will to uphold its just rights and create an independent Palestinian state with Jerusalem as its capital," Abbas said. "The Palestinian Leadership will invest every effort into ending our heroic brothers' suffering and freeing them from the occupation's jails. "We will work to allow these heroic prisoners to continue building our homeland, which they have had so much sacrifice for." During Fatah's end-of-year conference, Abbas praised the Arab prisoners, especially those who aided the murder of Minister Rehavam Ze'evi. "We remember the shahids, the injured, the prisoners, and their past... We applaud our prisoners and respect them. We will not forget our friends, the fighters Marwan Barghouti, Ahmad Sa'adat, and Fouad Shubekhi, nor do we forget our praised female prisoners." Though Abbas claims to want a peaceful relationship with Israel, the PA continues to pay terrorists' salaries and incite violence against Israel.